I have always been fascinated with watches. I still have my Mickey Mouse watch (mechanical) from Disney Land in Florida. I never wore it much, I guess I am somewhat of a collector. 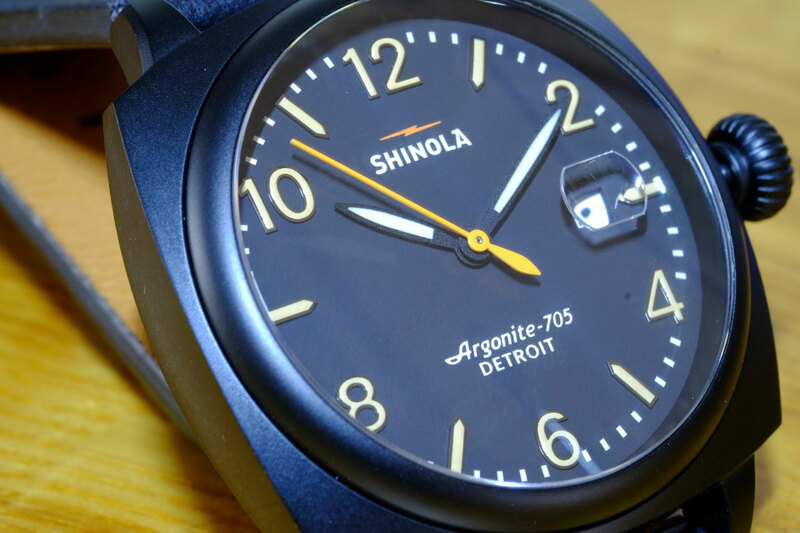 My ears perked up when I learned about watches being made in the USA, Detroit Michigan. 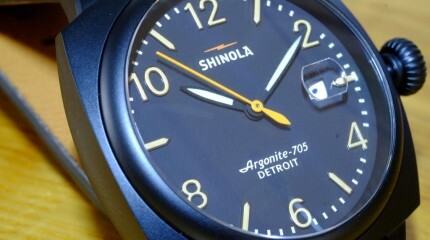 They have resurrected the name “SHINOLA”. In grammar school, I polished many of my dads and my own shoes with SHINOLA shoe polish. It is sometimes difficult to buy Made in USA especially watches. They are the first watches assembled at scale in the United States in decades. I have been admiring and watching their website and found a dealer less than 2 miles away from where I live. I like a simple faced watch with a calendar easier to read on the motorcycle and at a glance. The watch I selected is a Detroit-built timepiece made with respect and admiration for the steel-nerved locomotive brakemen it was named it after. Stainless steelcase with PVD black finish, black dial, and a black Horween leather watch strap. 40 mm diameter case, with Super-Lumi Nova hands. ( glows in the dark), with a SHINOLA built argonite 715 quartz movement. The watch strap is Premium American-manufactured black leather made in Florida. It has a screw down crown, and is water resistant to 3 ATM (100 ft). I can wash my hands in the kitchen sink with it. I would never swim with a watch with a leather strap. In all I am proud to have a watch Made in the USA. I photographed the watch with a Fujifilm X-T1, 60 mm lens © Stan Kotecki Photo.